The Wall Street Journal today reports that Apple approved production of its long-awaited wireless charging mat AirPower earlier this year after facing challenges with developing the accessory. This supports previous supply chain rumors. Last month, reputable analyst Ming-Chi Kuo said the AirPower will launch in the first half of 2019 alongside new AirPods, which were announced today, but a specific release date is unclear. Kuo also expects a new iPod touch with a faster processor in the first half of this year, but there has been no sign of one so far this week. Apple has announced new iPads on Monday, new iMacs on Tuesday, and new AirPods on Wednesday of this week, so it is possible the AirPower could follow on Thursday or Friday, but no reliable rumors have indicated that will be the case. Apple initially said the AirPower would be released in 2018, but the year came and went without a release, and the company hasn't said a word about the mat in many months. Apple removed the last remaining reference to the AirPower on its website, a photo of the mat, from its AirPods page earlier today. Apple is holding a media event on March 25 at Steve Jobs Theater, where it is widely expected to unveil news and streaming video services, but this week's product announcements suggest the event might not see much if any hardware on stage. 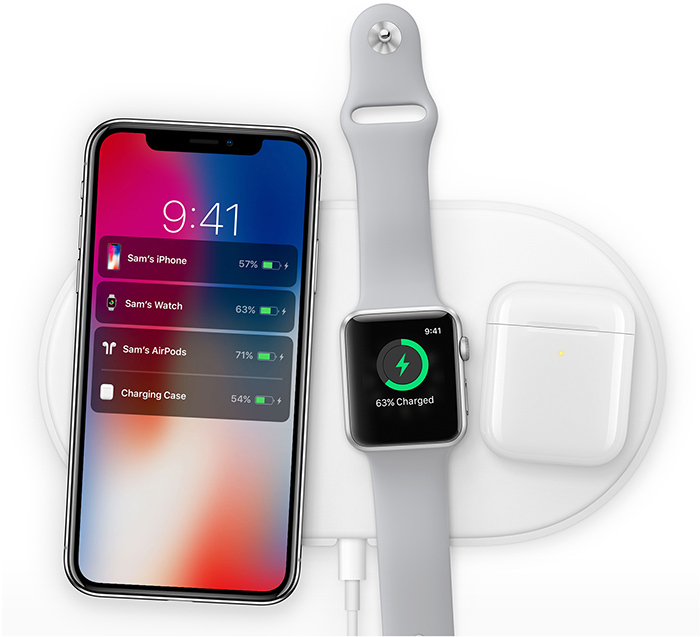 AirPower is designed to charge multiple Apple devices at once, including the iPhone 8 and newer, Apple Watch Series 3 and newer, and AirPods when they are placed in the new optional wireless charging case introduced today. Well... I think it’s the real deal then. Again, how would you charge your watch with a sport loop? I’m worried too tbh. Looking at Belkin that sells comparable, but less featured multi-device wireless chargers around $150, there’s no way this will be less than $199. $249 is realistic. I simply turn the band inside out. Works fine for me. You remove the Watch from the band? I just don't understand the wide coverage of an anticipated release of a wireless charger. There are several Qi wireless chargers out there that are gonna be most likely cheaper than the AirPower, yet every article on here is about the excitement and anticipation, the accurate or inaccurate reporting of when and how it's gonna look like, and of finally releasing a wireless charger just because Apple's name is behind it? I'm probably on the minority on this one but what is really the big deal (real curiosity)? I agree with you but I think the interest isn’t so much the AirPower itself. It’s the fact that Apple announced a product, missed the release time. The fact that it seems Apple has struggled with this product makes it more interesting than the actual product. I think AirPower is coming too. But what is the significance of removing the picture? I missed your point. A different MR post tried to indicate that since they removed the picture from the AirPods that it could mean AirPower isn’t being released. I think that’s what they were referring to.